McLaren is to run a special livery on Fernando Alonso's car this weekend in Abu Dhabi to mark the Spaniard's final F1 appearance. Based on the distinctive blue, yellow and red of his helmet colours - which themselves pay homage to his home region of Asturias in northern Spain - the livery is emblazoned across the engine cover, and includes a specially commissioned FA insignia on the top and sides of the cockpit. 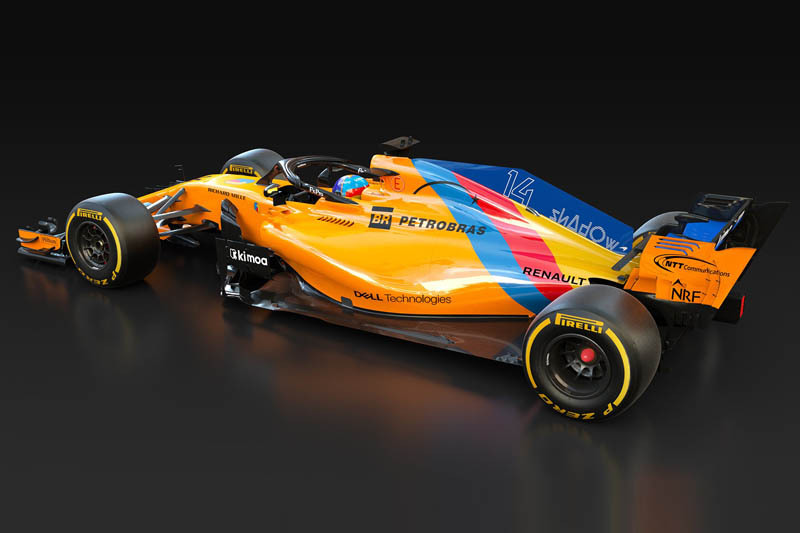 While one-off liveries were relatively common in Formula 1 in years gone by, in an age of increased homogeneity, they're now becoming somewhat rare. In fact, the Abu Dhabi race will mark the first time a McLaren has raced in a one-off livery since the team entered a yellow-branded car for Keke Rosberg in the 1986 Portuguese Grand Prix. 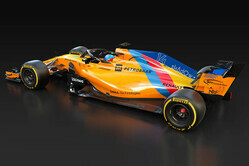 "We're incredibly pleased and proud to be able to race a special one-off livery for Fernando this weekend," said team boss Zak Brown. "We want his last grand prix to feel special in every way, and this was just one of the ways we could reflect that. "We worked closely and collaboratively Fernando, and then with the FIA and Formula 1 to make the change for this one race, and they were all hugely supportive of the move," he added. "Hopefully, this will give Fernando's fans a little something extra to look forward to at what is bound to be an especially emotional weekend." No doubt, the Spaniard would rather have a package that would allow him to end his career on a high, but coming off the back of a run of eight races that only produced one points finish that appears highly unlikely. ""We worked closely and collaboratively with Fernando, and then with the FIA and Formula 1 to make the change for this one race, and they were all hugely supportive of the move," he added. All this palaver to add a couple of stripes ???? “hugely supportive of the move” ? They could hardly have an objection to a bit of striping. Yet another example of how bloated and bureaucratic F1 has become, rules & regulations abound everywhere. "Should definitely have used this all year. Looks great!" "This is how all of the cars should look now that we cant see the drivers anymore."